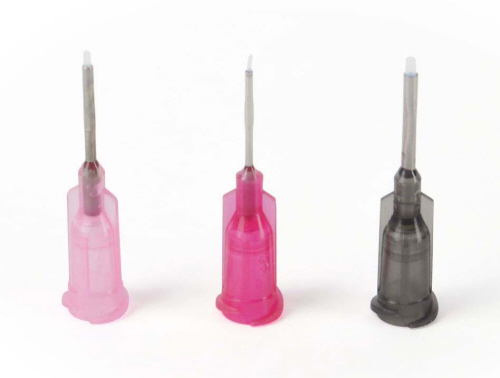 Teflon lined, metal dispensing needles, for cyanoacrylate glues, e.d. Packed per 50 pieces in re-closable plastic box.. Quantity discount; from 5 and 10 pieces per model!